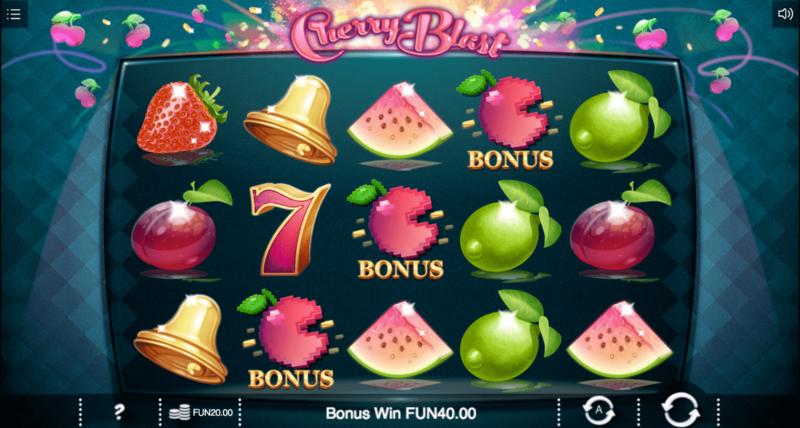 Get one of your five a day with Cherry Blast, a fruity little online slot machine from the creative minds at Iron Dog Studio. The layout of the slot is fairly traditional with five reels and 20 pay-lines to tot up those wins. 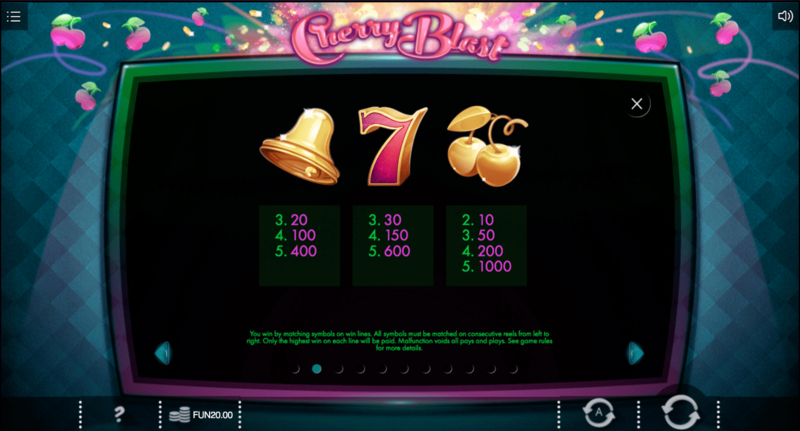 Iron Dog Studio has managed to cram a healthy range of features and bonuses into Cherry Blast, including the Cherry Bomb which explodes into features, wilds or bonuses, the Pacman-esque Bonus Dash and Free Spins complete with super wilds and scatters. If you're looking where to play online slots, you're in the right place! Part of the 1X2 Gaming, Iron Dog Studio is passionate about creating online slot games for discerning players who are looking for games with heart and soul. Their in-house artists and developers have an eye for perfection, marrying beautiful themes with outstanding gameplay in games such as Bloody Queen, Neon Jungle and Treasure of Horus. In addition to its creative work, Iron Dog Studio pride themselves on helping casino operators every step of the way to ensure everybody enjoys the best possible experience. Check out these slot games from this developer. The game board looks good enough to eat with symbols that are well-rendered and fit in nicely with the game’s theme. The premium symbols are all golden and include a bell, a seven and cherries, while the basic symbols are a healthier selection of plum, lime, watermelon, kiwi and strawberry. To give you an idea on the best slots based on different categories, click here. If you spin three stars anywhere in view then you’ll be starry-eyed with nine free spins. 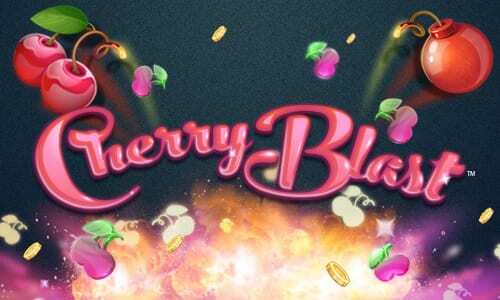 Free spins are accompanied by two cherry bombs which explode into super wild or scatter symbols for more succulent wins. Keep your eye on the third reel for the powerful Cherry Bomb. Watch as it detonates, blasting you into a scatter bonus, feature bonus or free spins/wilds. Spin three Bonus Dash symbols on the central reels to trigger this feature bonus. You then have to decide how many paths you want to go for - the higher the number, the more risk… but with great risk comes great reward! The visuals are a little reminiscent of Pacman (if Pacman were a fruit). The techno bods at Iron Dog Studios have adapted Cherry Blast for mobile and desktop devices meaning that you’ll have a sweet experience whatever you’re using. Those who want to savour their playing time for a little longer can toggle between fast and normal speed playing.